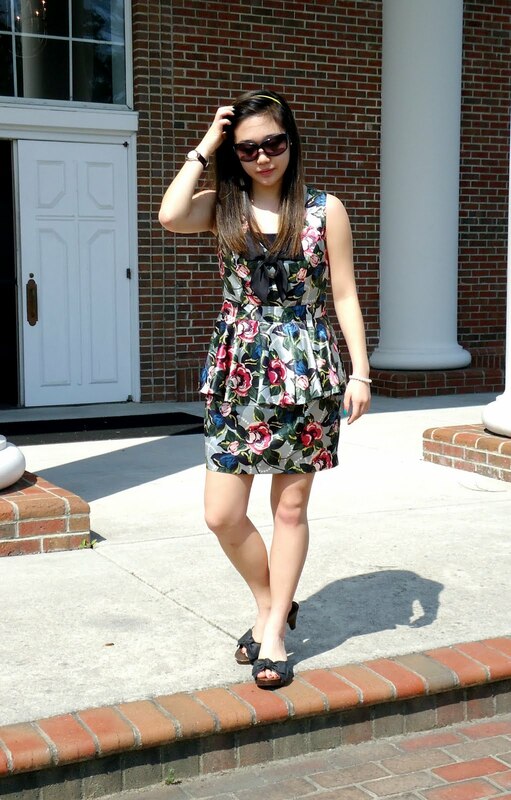 I'm a sucker for florals and anything that screams 'girly' especially on Easter Sunday. Though pictures may be deceiving, these shoes are clunky and harder than wooden heels can get. But despite the loudness of the clinking and clanking, they are one of my favorite pairs of heels and for a girl who loves to match everything (and I mean...everything), it was quite a necessity to match both bows. I hate that I wasn't able to upload my Easter pictures much sooner. I have the impromptu road trip to D.C. to blame. As soon as service was over, my parents informed me that we were leaving at 2 p.m. That only gave me two hours to pack and for those who do not know me, I hate hate hate being rushed. 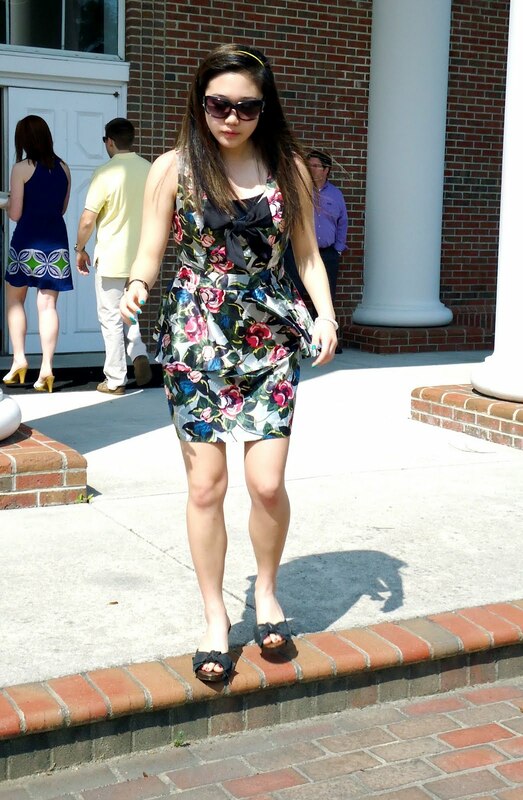 You are extremely pretty and such a cute dress! You look adorable -- I love bows and I LOVE that dress! Love the shoes, they are so classy! Love the floral pattern - you look beautiful! i too am a sucker for all things girly and cute!! 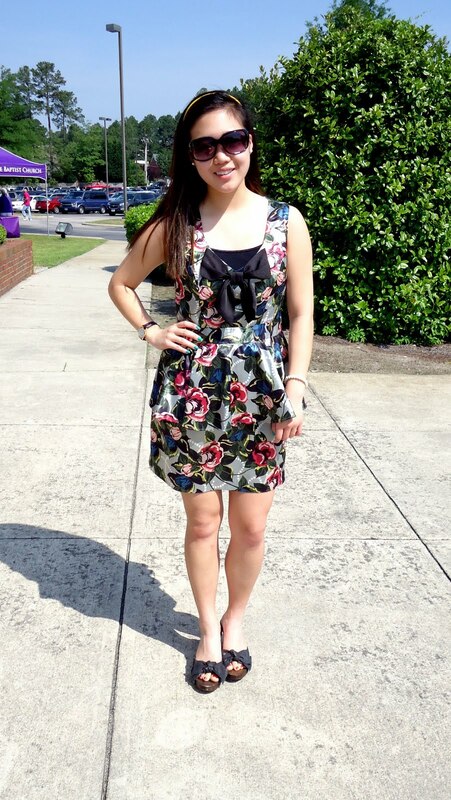 i love your dress <3 its so adorable and pretty!! perfect for spring!! and wonderful photos!! 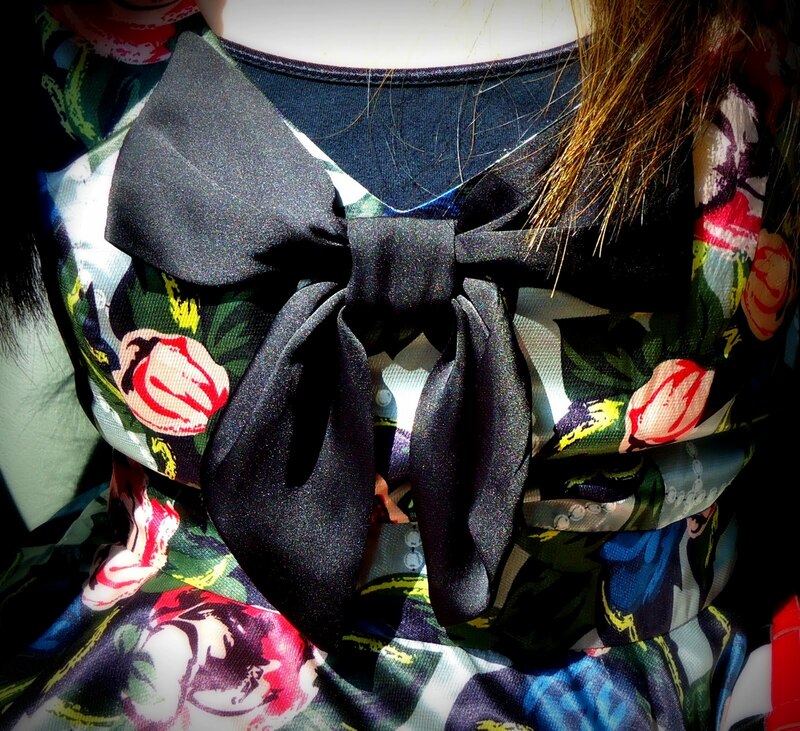 what a cute floral dress and it has a bow! perfect! I saw you in chictopia and i just had to see your blog.